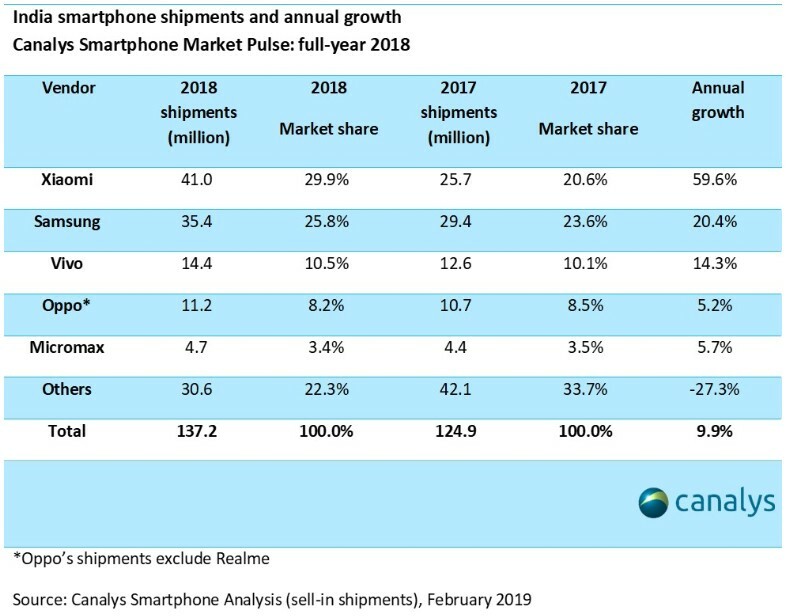 While the global smartphone market is slowing down, the volume of smartphone sales in India continues to grow and it soon might leave the US behind. According to Canalys, Xiaomi shipped 41 million handsets in 2018 — 29.9 percent of the Indian market, up from 25.7 million and 20.6 percent during the previous year. After a rather long period of growth, the global smartphone market has finally reached the point where a decline is not only anticipated, but normal, and the only question that remains is how abrupt this descent will be. However, the Indian smartphone market is still far from saturation, although its growth seems to be finally slowing down a bit. According to a report that was published last week by research firm Canalys, Xiaomi maintained its lead with 41 million units shipped in India during 2018. This figure translates to 29.9 percent, up from the 20.6 percent (25.7 million units) recorded in 2017 — a solid YoY growth of 59.6 percent. Samsung had no problems holding the second position and also climbed from 29.4 million units and a market share of 23.6 percent to 35.4 million and 25.8 percent. In this case, the annual growth was still solid — no less than 20.4 percent. 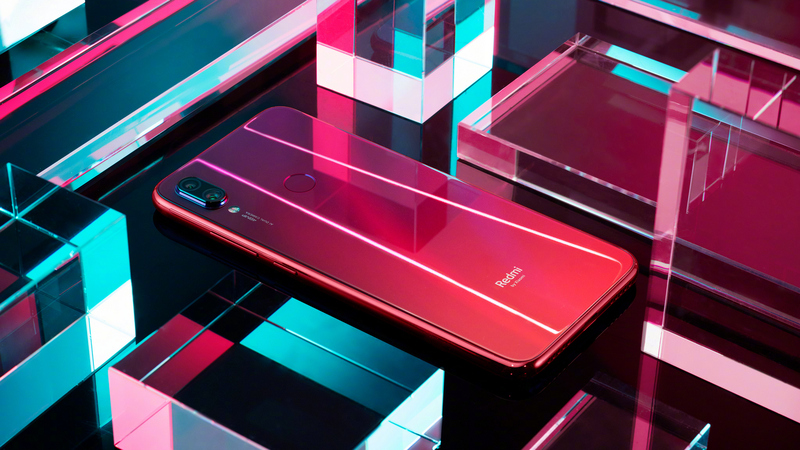 The following three companies also managed to record a YoY growth of at least 5 percent and shipped together around 30 million handsets during 2018 in India alone: Vivo, Oppo (without the Realme-branded devices), and Micromax. India now accounts for more than 10 percent of the global smartphone market and this figure will surely grow during 2019. Lastly, a few numbers that allow us to compare India to other markets should be mentioned: 137.2 million units and a 9.9 percent YoY growth in India, 150 million units in the US, and 350 million in China, but both declined from 2017 to 2018. On the other hand, the growth rate of the Indian market has been left in the shade by Indonesia (17.1 percent) and Russia (14.1 percent). Surprisingly enough, the Italian smartphone market also managed to go up by 10 percent in 2018.